Just 500 metres from Arrifana Beach, this villa in Aljezur offers spacious accommodation with fully equipped kitchens. Guests can rent water sports equipment and dine in the on-site restaurant. 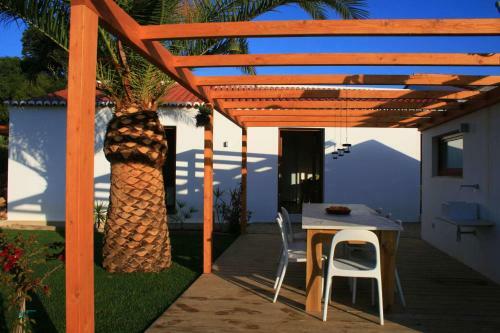 Situated within the Southwest Alentejo and Vicentine Coast Natural Park, Amazigh Hostel offers private and shared accommodation. It has an airport shuttle and provides a bicycle rental service. Hostel rooms have simple furnishings and free WiFi.